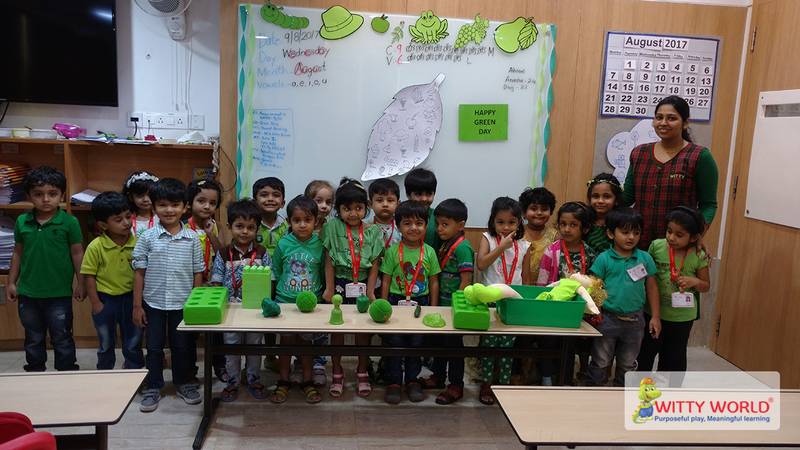 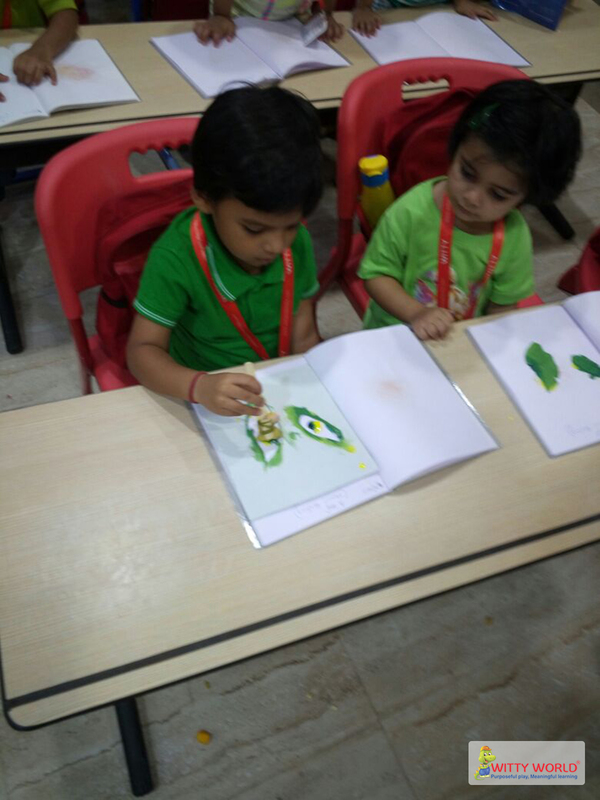 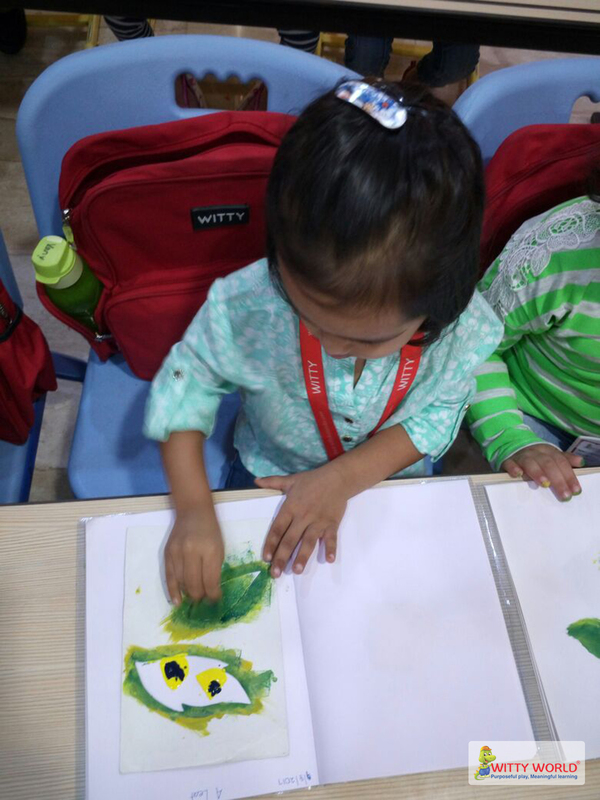 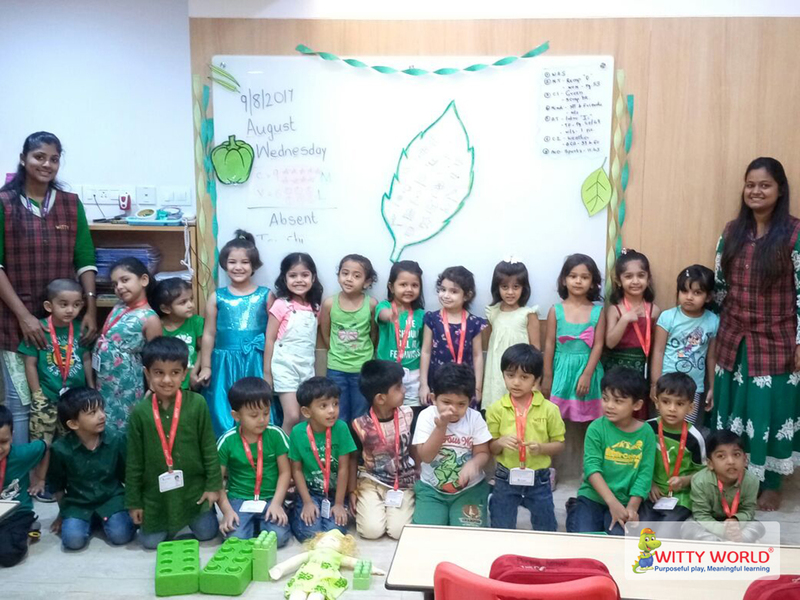 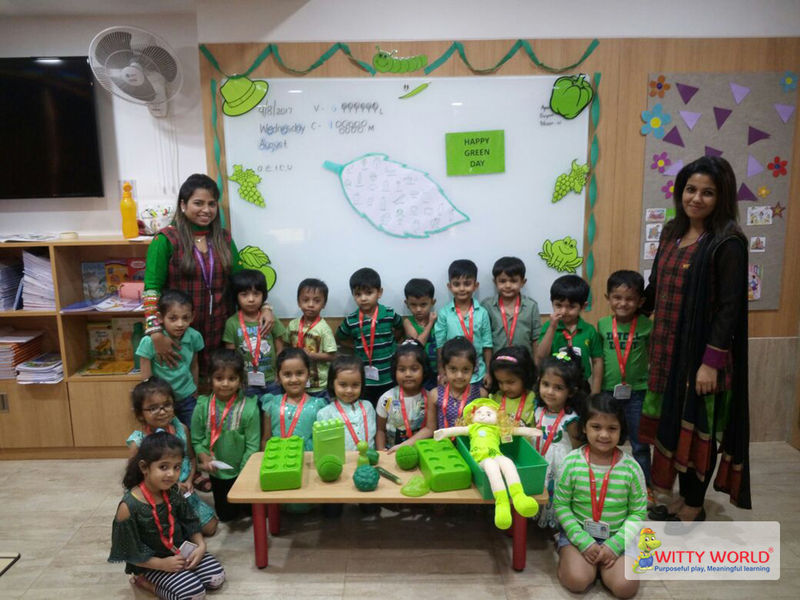 Junior K.G children celebrated "Green Day" on Wednesday, 9th August 2017 .Children wore green colour clothes and brought green color toys. 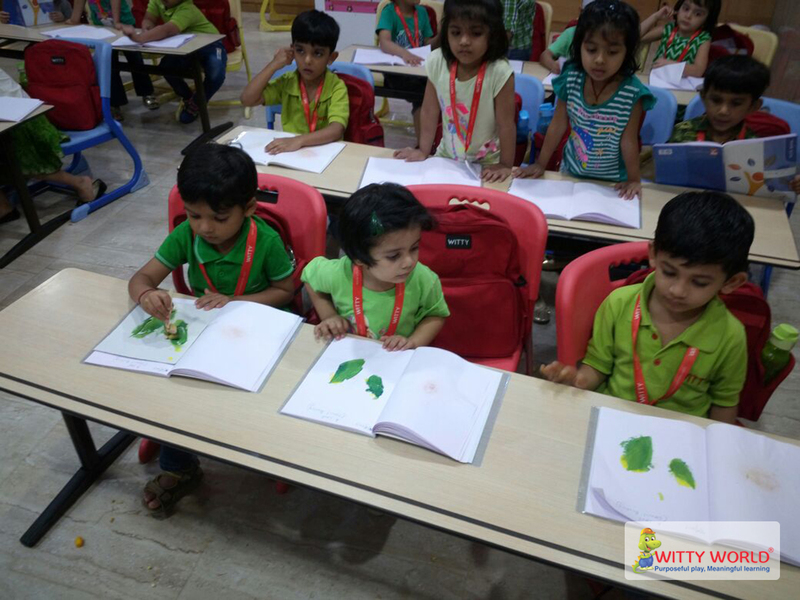 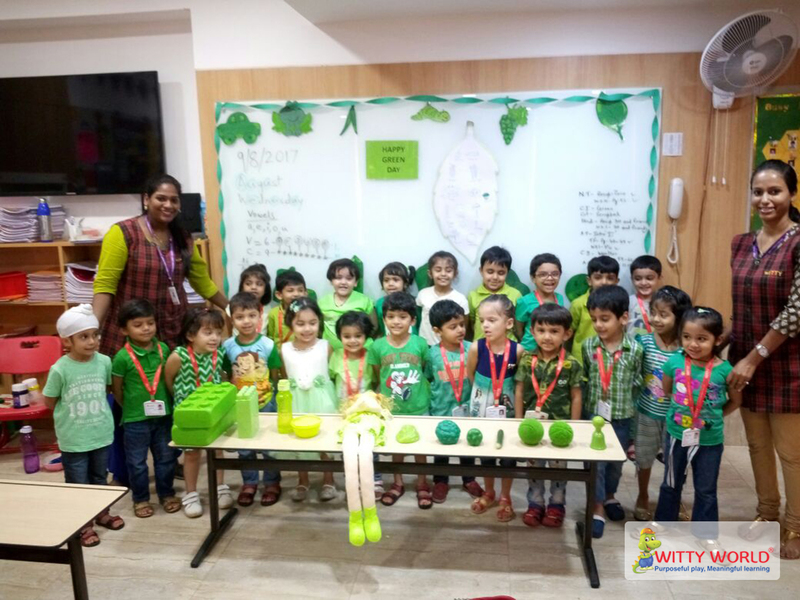 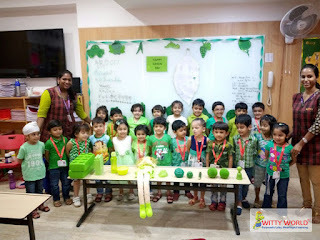 The teacher's pre-decorated the class with green colour objects and displayed all the green colour toys in one corner. 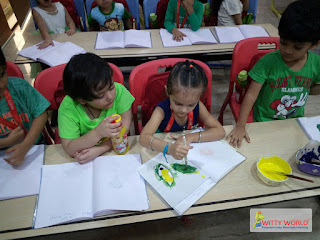 During the concept, teacher showed how the mixing of the two primary colours ; blue and yellow becomes the secondary color , green magically. It gave them great pleasure to see this magic They enjoyed doing stencil painting in the scrapbook and watching their surroundings. 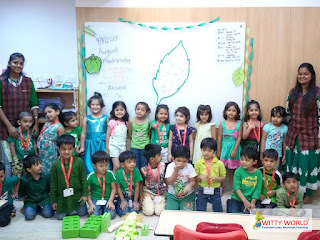 It was experiential learning for the children . 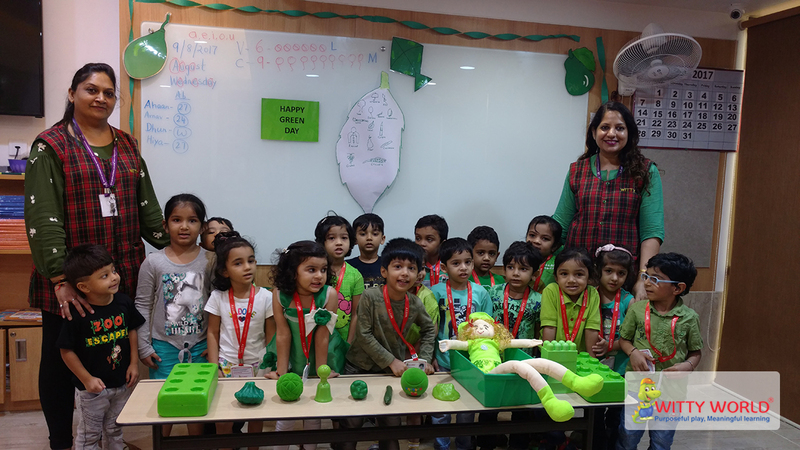 Children had a fun filled celebrated ‘Green Day’ celebration.